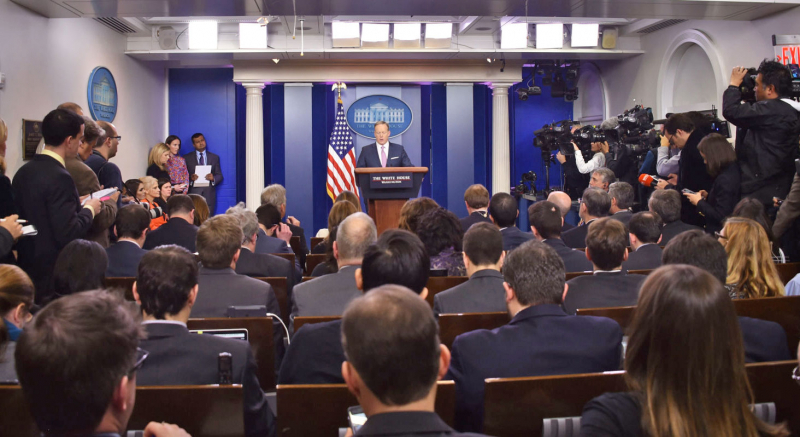 This technological addition is meant to open up the press conferences to journalists outside of the Washington, D.C. area as well as organizations that don't have access or funds for a day pass. CNN can't be happy about that. President Trump and his team have received negative news coverage in the past and this move looks to be an effort to shake up relations with the press. This is a tremendous understatement. Most of the meeting will be spent saying "Hello? Its me. I was wondering if after all these years you'd like to meet..."
Incidentally also Adele's Hello song. Skype? Hope there is room for Mother Jones. I hope he also install a few good sniping advantage points with unfettered getaways. This sounds like a way to incorporate political niche blogs - which I generally approve of (Breitbart and Mother Jones, not withstanding). Lets hope he keeps a balance between left and right here, though I am not hopeful for that, judging by his nominations and cabinet picks. What trump wants are twitter seats.